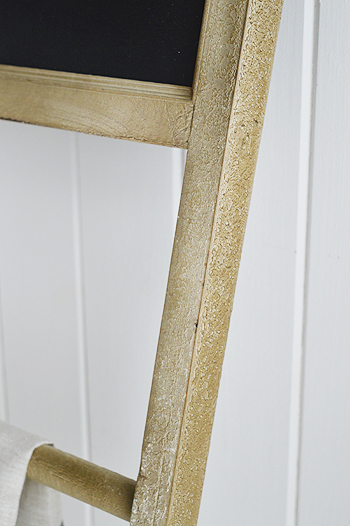 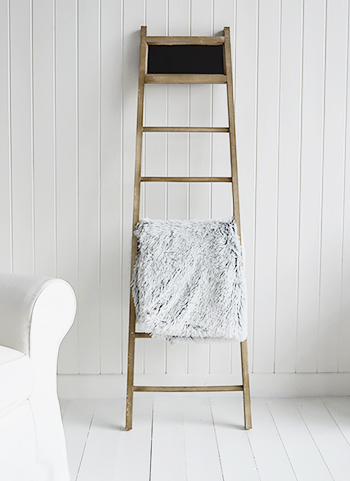 The Dorchester quilt or throw ladder in an aged wood effect finish with a chalkboard top. 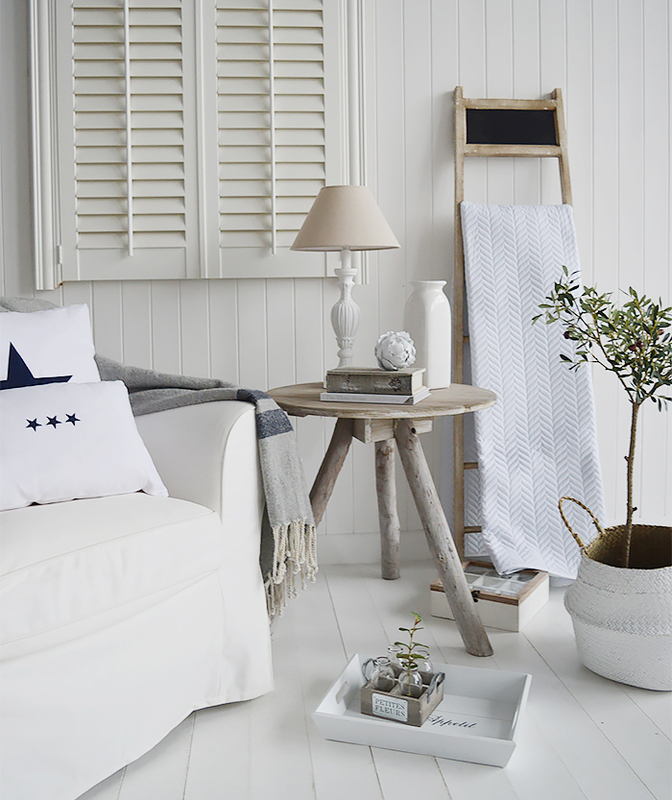 Bedroom: Place against an empty wall to create a decorative feature to hang scarves or use to keep clothes off the floor. 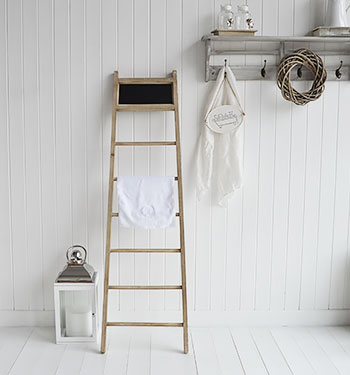 Bathroom: Hang towels or use as a decorative feature and add your insprational message on the chalkboard. 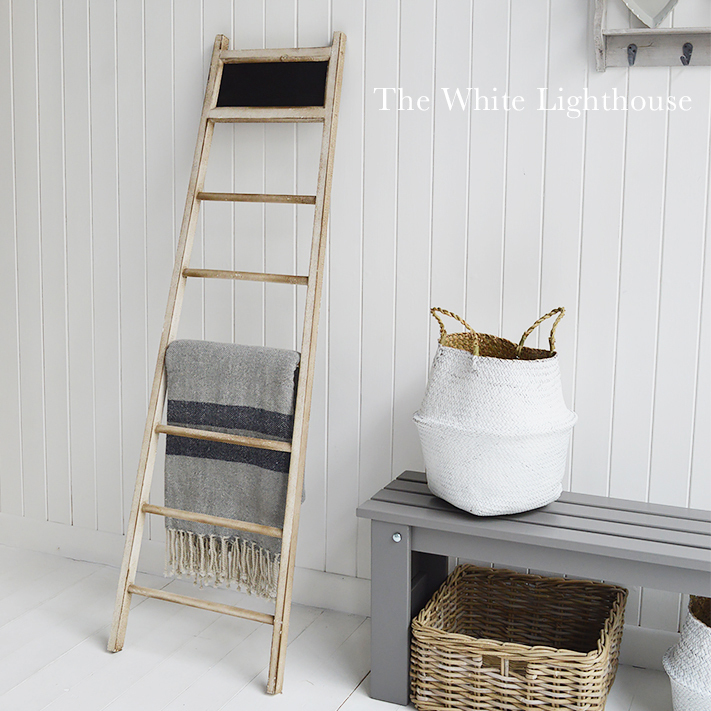 Decor: For a cool and calming look to your room, add towels or throws in pale colours, plain linen always adds appeal while soft chunky throws will give you a more cosy feel. 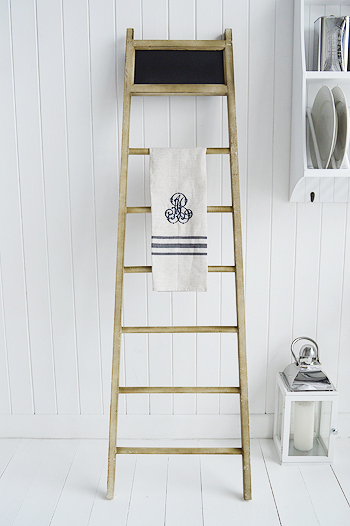 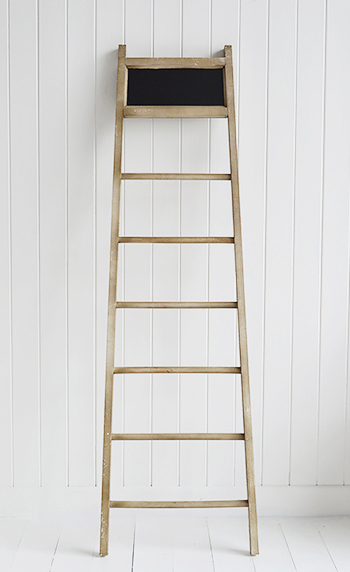 The ladder will blend with all interiors, designed by taking inspiration from the aged wood of the coast in driftwood, beach huts and old wooden boats and bringing this inside wherever you live.